Barcelona is one of Europe’s most glamorous and energetic cities, with an astounding collection of beautiful art and architecture, and a high concentration of stunning restaurants and wine bars. We have designed this luxurious chauffeured wine tasting tour to include the best of Barcelona’s sights and eateries, along with VIP wine tastings at prestigious Penedès cellars, a gastronomic walking tour of Barcelona’s medieval “Barri Gotic”, Spa treatments, touring through the stunning mountains of the Pyrenees, Michelin starred dining, hot air ballooning, and plenty of ultra-luxury and pampering! From Barcelona airport, you will be collected by luxury Mercedes and swept away to your gorgeous hideaway hotel in Barcelona’s chic Tibidabo Hills neighborhood. Over the next week, you will see the best that Mediterranean Catalonia has to offer including wine country, the sea, and the mountains. You will have a private chauffeured Mercedes for your tour and you can travel at your own pace, with the driver on hand as little or as often as you like. If you are looking for a relaxing tour full of fine food, wine, and scenery combined with a city break in the vibrant city of Barcelona, then contact us for more information on this superb tour. Your elegant chauffeur will pick you up and transfer you by luxury Mercedes to your dream hideaway hotel in Barcelona. Enjoy a free afternoon to settle in, make the most of the fantastic spa onsite, or go exploring. 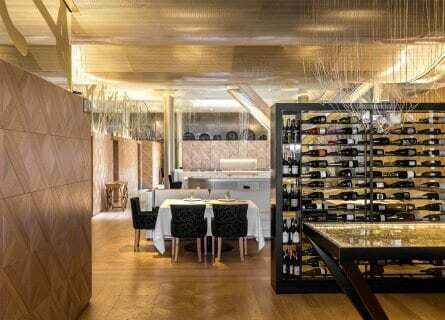 Your chauffeur will collect you from the hotel and drive you to the beautiful Eixample district of Barcelona, where you will have a special welcome dinner at 3 Michelin starred Lasarte. 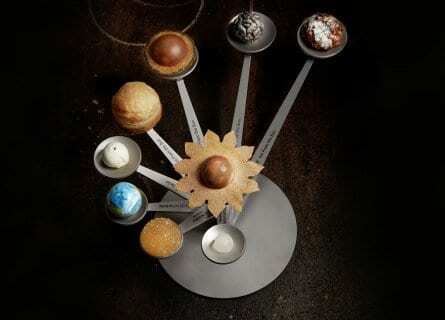 This is such an amazing treat and fabulous way to kick-start your gourmet Barcelona experience. Some of the dishes that might tantalize your taste buds include; Foie gras, eel, and caramelized green apple mille-feuille, with an onion crème sauce, Carabinero prawn and red curry “royal”, Sole served with parsnip puree, saffron foam, blood orange gel and barnacles or Citric Risotto topped with juicy clams and sea urchin roe. After your sublime dinner, your driver will pick you up to transfer you back to the hotel or on to enjoy some of the Barcelona nightlife. Bienvenido! Full breakfast in the gorgeous dining room with a multitude of exotic fruit, a veritable bakery of pastries and many freshly squeezed juices. Discover the wines of Penedès today! This morning your driver will take you south into the wine country, about a one-hour drive. Your first visit will be to a high-end boutique wine estate such as the fantastic Agustí Torelló, where the renowned Kripta is made, and bottled in its unique amphora shape. Enjoy a private and VIP tasting of 5 top cavas including their lively brut, gran reserva and as a special treat, the Kripta. The second wine tour of today will be to one of our favorites such as Parés Baltà, where a very special visit awaits. 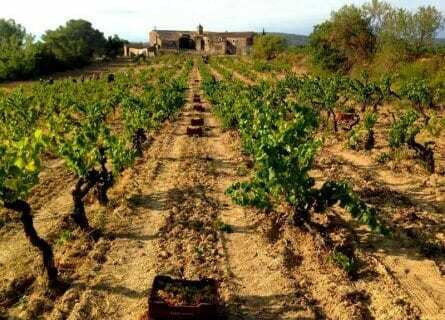 This passionate wine family will be expecting you for a privileged vineyard tour; an unforgettable experience, learning all about the organic viticulture they employ and the native Catalan grape varietals. The tasting is up next taking in a range of polished cavas, and still whites and reds including their cult wine Absis. Superb tour, superb wines, what more could you ask for? Lunch will follow at the gorgeous Mirador de las Caves, set in the town of Subirats surrounded by a lush natural setting, with views to the Montserrat Mountains. The décor is elegant rustic which complements perfectly their gastronomic focus, the barbecue, this isn’t any old barbecue, however, and the special cooking system and specific coals used to provide an authentic wood flavor. 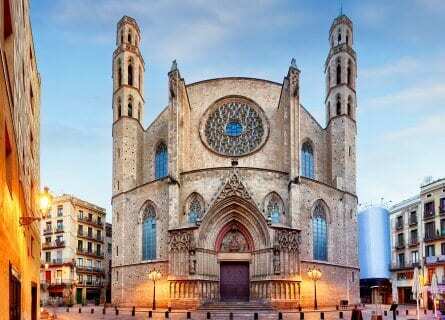 Return to Barcelona for a free evening, relax and enjoy dinner at the hotel or in Barcelona’s bustling downtown. Today is a fun day, full of sightseeing and eating your way through Barcelona’s medieval Barri Gotic district with its narrow alleyways and old stone palaces. Your driver will take you downtown where you will be met by a local Gourmet Guru who will lead you on a “Tapas Tour”, which is a walking tour of the old town via the best tapas bars. Your lunch will consist of history, food anecdotes, wine tasting, and a cheese workshop. Your driver will then take you on a scenic tour of Barcelona, taking in the best Gaudi mansions, the gorgeous Parc Guell and Sagrada Familia. You will have free time to visit the Picasso Museum and the Miro Museum if you are an art lover. Hopefully, you will have worked up an appetite, because tonight’s dinner is at Moments, in the Mandarin Oriental. Here you will discover one of Barcelona’s finest gastronomic experiences. Chef Carme Ruscalleda overseas the creative, fresh and healthy cuisine inspired by Catalan culinary culture. Moments proudly has two of the seven Michelin stars that Ruscalleda has won for her restaurants in Spain and Tokyo. A real treat! Today, you will go on a beautiful coastal tour of Spain’s “Wild Coast”, the Costa Brava. First take in the fascinating and gorgeous winery, Bell-Lloc. 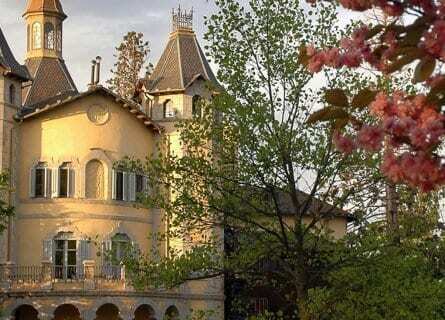 The architectural beauty alone makes this a top destination, and the wine is distinctive, resulting from the dedication of organic and traditional viticulture. 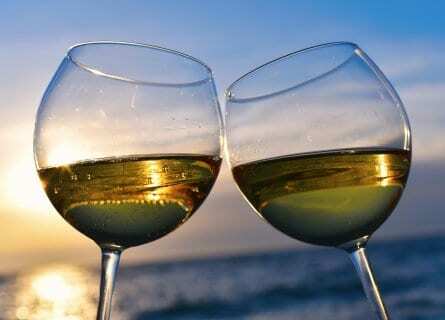 You will enjoy a fabulous tasting accompanied by Bell-Lloc homemade aperitifs. Lunch is next at Aiguablava restaurant, which boasts a spectacular view over the Bay of Aigua Blava. Take in the amazing setting whilst tucking into mouthwatering Tuna “Tataki” with romesco sauce and chickpea hummus, Norway lobster stuffed ravioli with coral sauce or Ox carpaccio rolls stuffed in arugula, pear, and Parmesan for example. A visit to the beautiful fishing village of Cadaques is top of the list and you will have a relaxing afternoon to explore it. The streets are narrow and cobblestoned, the buildings whitewashed and covered in bougainvillea and ivy, and there are many art galleries and cute seafront shops. After Cadaques, you have the option to visit the famed Salvador Dali Museum or to carry on to your Relais Chateaux hotel in the lovely Catalan countryside. You will adore your suite in your hotel, located in a sumptuous setting, in a 17th-century villa. There are two superb restaurants in this tiny hotel, so you can enjoy a formal black-tie dinner, casual Japanese inspired dining, or room service. Dinner is on your own. Full wonderful breakfast in the beautiful garden or in the historic dining room. Medieval villages and romantic coves and beaches are on the menu today. You will visit the pretty village of Pals, steeped in history. Your driver will recommend a few places for lunch (such as the Michelin starred Sant Pau), for you to enjoy at your own pace. 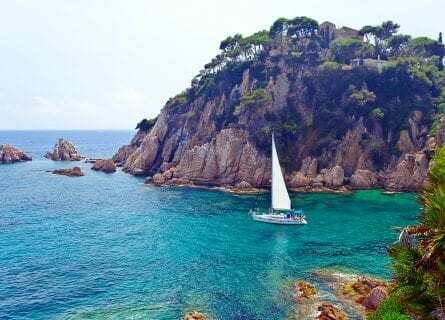 The beaches of the Costa Brava are claimed to be some of the most beautiful in Europe, again the driver is on hand to chauffeur where you like. In Tossa de Mar, there is a lovely old castle and pretty boardwalk, full of informal restaurants serving fresh fish. Callela de Palafrugell is another pretty village on the sea. Dinner on your own at the Relais Chateaux- formal and informal dining available, as well as excellent room service. Today’s activities are adventurous. 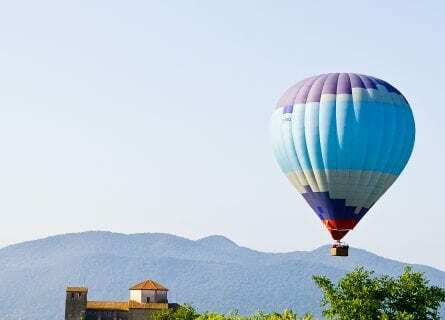 You will travel southwest to the medieval village of Vic, where you will enjoy a hot air balloon experience, huge fun. In the air, your pilot will crack open a bottle of champagne for you to make a toast while flying over the pretty valley. Lunch will be spent at an excellent Michelin starred restaurant in the gorgeous countryside around Vic (specially prepared for you). The drive in the afternoon will take you to the mountains of Vic, dramatic and full of small ancient churches and great views. Dinner on your own at the Relais Chateaux- formal and informal dining available, as well as excellent room service. Alternatively, you can enjoy dinner in the nearby villages. Today, you will travel from the Costa Brava, westwards into the breathtakingly beautiful Cerdanya park, in the Pyrenees. 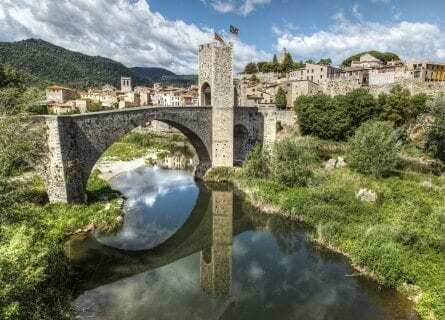 But first, you will visit the village of Besalu, one of the prettiest in Spain. Besalu has a fascinating Jewish heritage, with preserved Jewish baths, dating back to the 12th century. There’s also a beautiful 11th century Romanesque Abbey and Bridge. It’s a wonderful place to spend an afternoon and enjoy lunch at one of the cozy, charming local restaurants. From Besalu, you will drive to your hotel, one of the best in Spain, set in hundreds of acres of private gardens, in an old luxurious palace. A special dinner will be prepared for you tonight and the chef will come out to meet you in person, this restaurant is mythical! An earlier start today, as you will have a 3-hour drive to striking Andorra, it is well worth the trip and your first stop is at winery Casa Auvinya, one of only a handful of wineries in Andorra, Casa Auvinya is perched on the side of a mountain. Famed for being the first vineyard in Andorra to produce red wine, this vineyard is the definition of “terroir”, everything about its location is perfect and this shines through in their resulting wines. A half an hour zig-zag back down and up another mountain leads you to your spectacular lunch venue at “El Castel de Ciutat” the views from here are as equally breathtaking, looking over the Urgellet Valley and the mountains of the cadí-moixeró, the largest nature reserve in Cataluña. Exquisite, innovative food with carefully selected wines from their extensive (over 700 wines) cellar. After lunch, you have a short, forty-minute drive to your hotel where you will enjoy a free afternoon at your sublime mountain hideaway at the Torre del Remei, a modern style palace set in over 3 hectares of magnificent Redwood forest. This is a terrific finale to your luxury tour. Beautiful drive back to Barcelona. This concludes your luxury tour of Barcelona and Catalonia. You will go back with great memories and even better pictures! Transfer to airport or next port of call. Our Barcelona Wine Tours experience with Cellar Tours was tremendous. Our weekend was to entertain our most important clients and we booked with the Cellar Tours team at the last minute. They coordinated a wonderful day for us visiting Pares Balta and Jean Leon with an amazingly lively and eloquent guide, as well as an amazing lunch at Cal Xim. Our clients were hugely impressed. To anyone considering using Cellar Tours, I would give my highest recommendation for their professionalism, obviously rich knowledge of the Penedes wine region and friendliness. One of the best days out I have ever had.